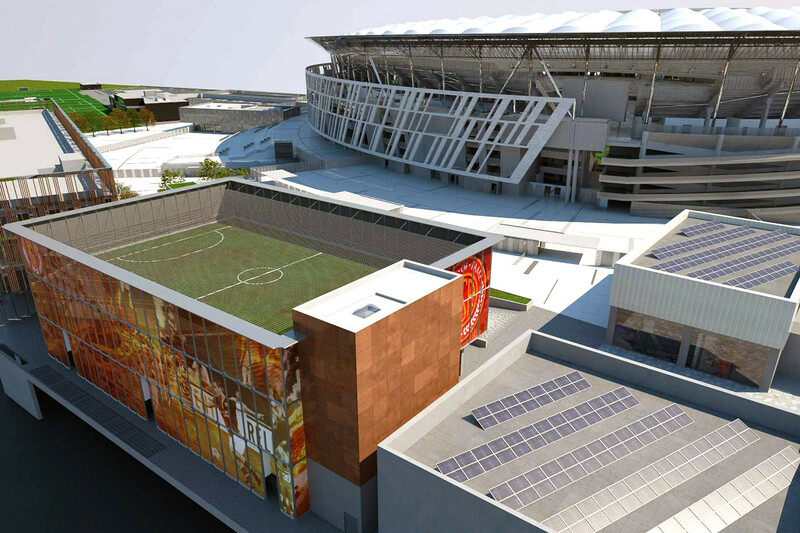 Hall of Fame, that is part of the Roma Village, lot A1 which also includes the new Stadio della Roma and is located within the development plan of the Tor di Valle area in Rome. 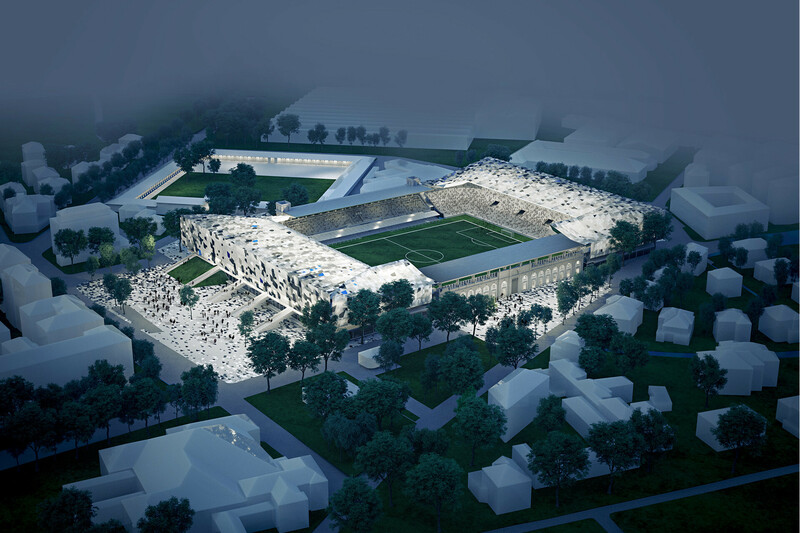 The architectural concept of the project was designed by Forrec, an architectural studio from Toronto and is directly connected to the adjacent lot C1, which includes commercial spaces. 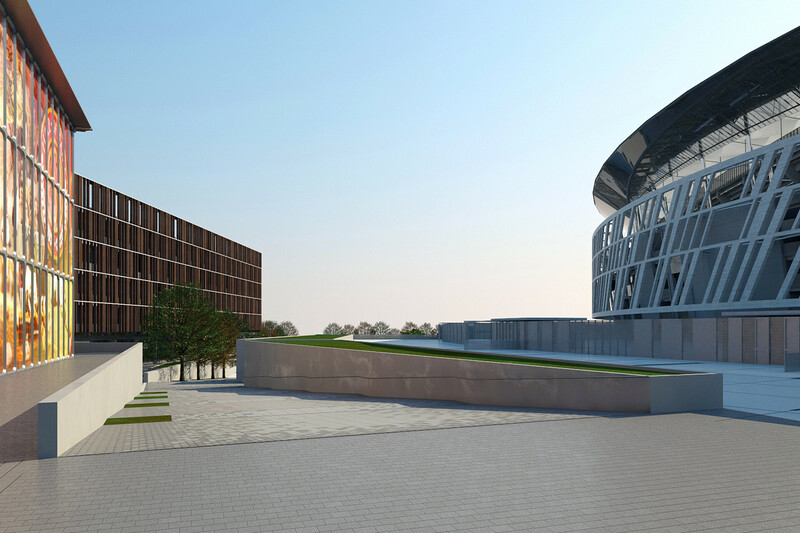 All the ancillary buildings in this important project of the Stadio della Roma have been raised up on a “podium” area providing access to the exhibition spaces. The underground level, below the podium, contains parking spaces and technical areas required for the functioning of the overhead buildings. 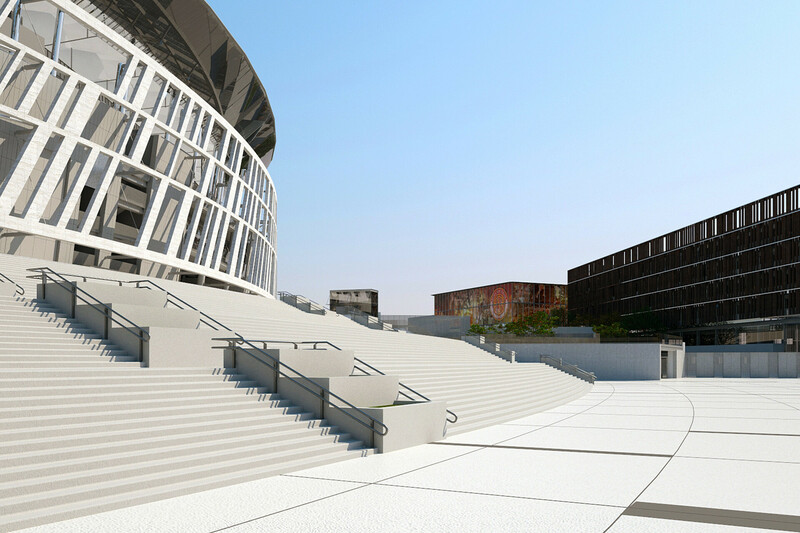 The Hall of Fame has been designed to host exhibition and reception functions, such as temporary exhibitions, spaces for special events, reception service for the tour of the Stadio della Roma. 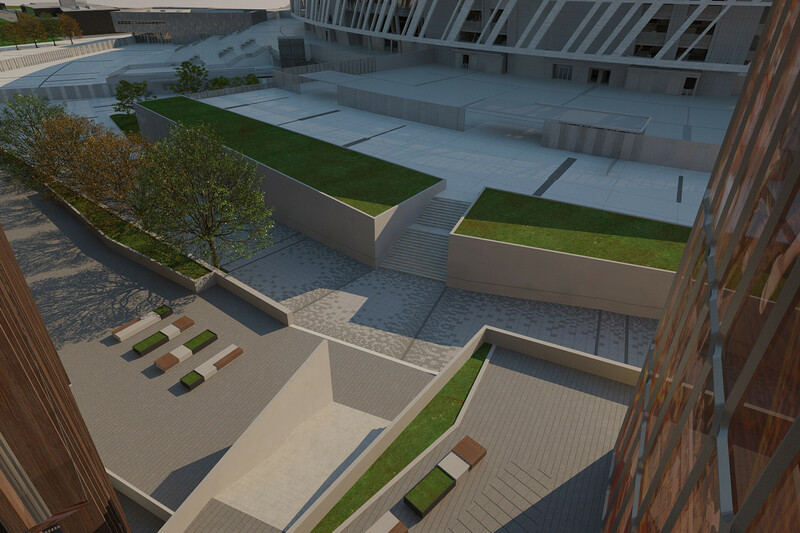 There is also a football field on the rooftop, which will also host scheduled events. The translucent skin of polycarbonate panels backlit by LED strips, aims to emphasize the theme of exhibition from the outside, attracting the visitor to a space dedicated to the history of the Roma team. 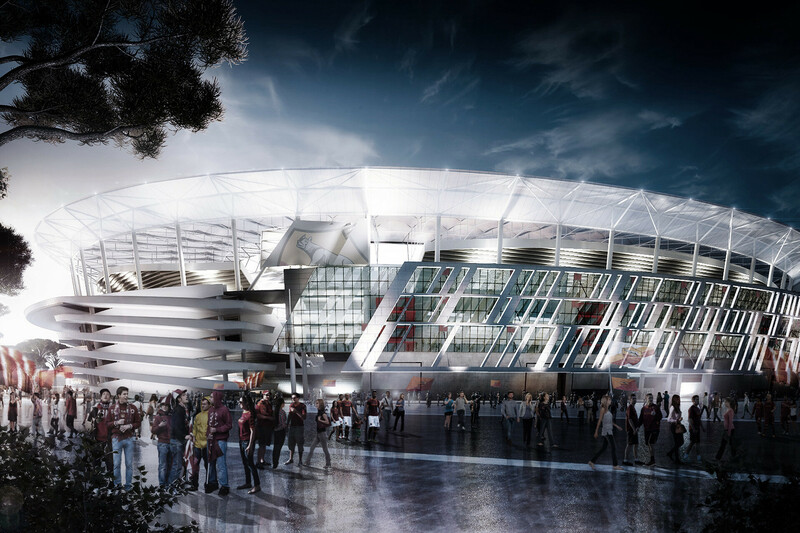 SCE Project was involved in the full service design (architectural, structural and MEPF) for the concept, developed and technical design phases. 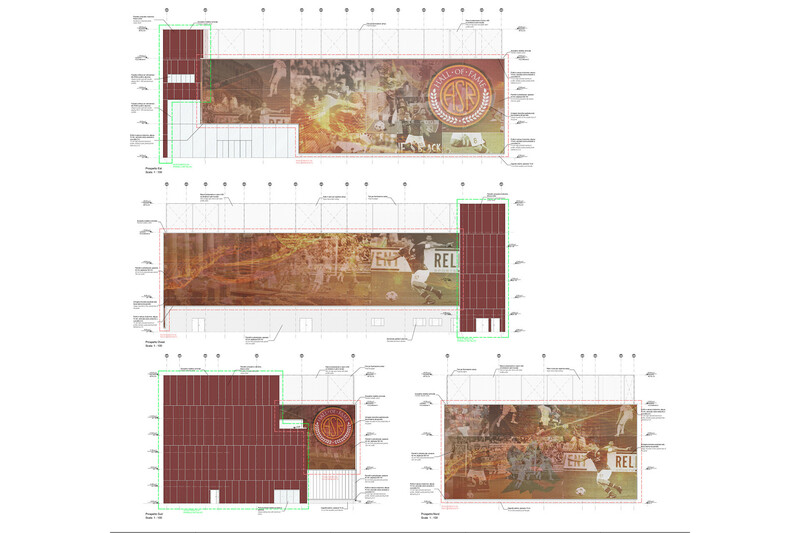 The firm also worked on the BIM model and data management. SCE Project USA led the Project Management and supported the design through the coordination between the overseas architects and client offices with the local ones. 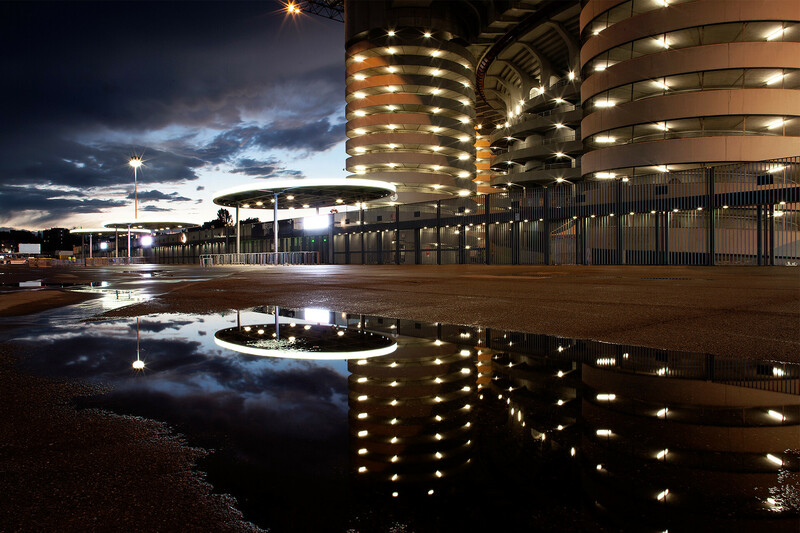 Client: Stadio della Roma TDV S.p.A.
Services: Architecture, BIM&Data Management, Integrated Design, Project Management, Structural Engineering.